traces the the history of the Lingayats and concludes that engaging in such parochial politics, involving the mobilisation and radicalisation of a sixth of the Karnataka’s population, is dangerous. 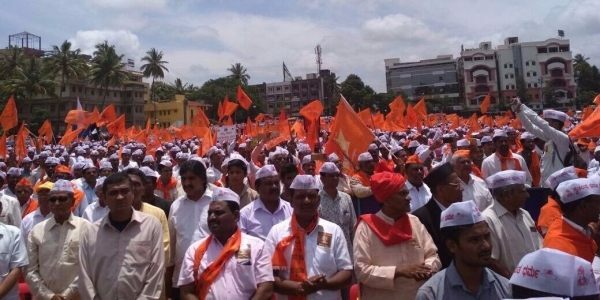 On 19 July 2017, a section of the Lingayats organised a massive rally in Bidar in north Karnataka under the aegis of the Vishwa Lingayat Mahasabha (World Lingayat Assembly), demanding official recognition as an independent religion with minority status. At least 50,000 people participated in the event. The demand was certainly not new; it has been made on various occasions since the early half of the 20th century, but this was the first popular mobilisation of this scale. In the weeks that followed, similar demonstrations were held in other cities of the state. The Belagavi meet of 22 August witnessed the participation of 200,000 people. The number increased to 300,000 in the Kalaburagi meet of 24 September. At the Kalaburagi meet, a youth wing called the Rashtriya Basava Sene (National Basava Army) was formed to take the stir forward. Vinay Kulkarni, an important leader of the agitation, was chosen as its national president. Kulkarni is incidentally the Minister for Mines and Geology in the State’s Congress government, led by Siddaramaiah. M.B. Patil, the Minister of Water Resources of the State has also been at the forefront of the agitation. The Lingayats, also known as Virashaivas, are a powerful community, wielding considerable political and economic influence within Karnataka. With over ten million followers, they account for a sixth of the state’s population. Seven Chief Ministers of Karnataka since 1956 have been Lingayats, and 52 of the 224 legislators in the current assembly belong to the community. One of the Chief Ministers, S. Nijalingappa, was a prominent national leader and member of the Syndicate of the Indian National Congress in the 1960s. He served as President of the party in 1968 and 1969. Another Chief Minister, B.D. Jatti, went on to become India’s Vice-President in 1974 and held office until 1979. He served as acting President for over five months in 1977, when the office of the President fell vacant following the death of the incumbent, Fakhruddin Ali Ahmed. An influential section within the community has long argued that Lingayats are followers of a religion distinct from and opposed to Hinduism. Proponents of the thesis hold that the Lingayat faith arose in the 12th century as a rebellion against Vedic and Brahmanical Hinduism, and deserves recognition — like Buddhism, Jainism and Sikhism— as a distinct religion. Prominent votaries of this position include the late Prof M.M. Kalburgi, a leading Kannada scholar and former Vice-Chancellor of the Kannada University, Hampi, who was shot dead at his residence by suspected Hindu militants on 30 August 2015. The arguments made in support of the independent religion status are, historically speaking, tenuous for a number of reasons. Research in recent decades has shown that Hinduism arose as a religion only in the 19th century. The evidence available with us suggests that Lingayats also were not organised into a well-defined community before this time. Until the 19th century, Lingayats were a wide assortment of sects and cults affiliated to various mathas, carrying diverse forms of association with the 12th-century saint Basava. These sects and cults evolved in the 15th and 16th centuries, appropriating textual sources, teachers, and monastic traditions dating from the 11th and 12th centuries as their legacy. By the 17th century, mathas had proliferated in great numbers, the founding of mathas becoming a cottage industry of sorts. Many of these mathas also formed broad associations with one another, which led to differences of opinion concerning their legacies, resulting in a division between the puritans and the primalists. The numerically strong Viraktas looked to Basava and his 12th-century contemporaries, Allama Prabhu, Akka Mahadevi, Channabasava, and others as their teachers. The Aradhyas — popularly called Panchacharyas as they are five in number — traced their origins to invented lineages that begin with Panditaradhya, Renukaradhya/Revanaradhya, Ekoramaradhya (Ekanta Rama), Marularadhya, and Vishvaradhya, with their respective seats in Srisailam, Balehonnuru (Kollipake in some legends), Kedara (Balligave), Ujjayini (Ujjini in the Bellary district), and Kasi (Varanasi). In its modern version, the division is seen in terms of antiquity, with the Viraktas considering Basava as the founder of the faith and the Aradhyas taking him only as the reformer of a faith already founded by one or other of the five teachers they revere. Until the 19th century, most Lingayats came from artisan and mercantile classes. Today, however, there is an overwhelming presence of the peasantry among followers of the faith. One of the claims made in the recent agitation is that Lingayats and Virashaivas are two different groups. The latter, it is argued, adhere to Vedic Hinduism and can at best be regarded as an ill-informed sub-sect of the former. This claim, like most claims concerning religious identity, has no basis in history. In two of his research papers, the late Kalburgi marshaled evidence which suggested that the community was known only as Lingayat as late as the early 20th century, when the word Virashaiva began to replace it in the community’s quest for greater respectability. The Lingayat-Virashaiva divide being projected now is a Virakta attempt to marginalise the Aradhyas, who are vehemently opposed to the demand for independent religion status. In fact, the Aradhyas recently convened a parallel meet, rejecting the demand. Part of the enthusiastic reception to the agitation is due to the benefits that would come their way if the Lingayats were to be officially recognised as minorities. Lingayats are among the leading industrialists, traders, and politicians in the State. Their connection with the Virakta mathas is of no mean consequence, as it constitutes a powerful industry-trade-politics-religion nexus that has an impact on policy making in Karnataka. The mathas have a substantial presence in the State’s education sector. They own hundreds of schools and colleges, which include a large number of engineering and medical colleges. This has in fact not been the only instance of parochial politics by the Siddaramaiah government. Ever since it came to power in 2013, the government and its spokespersons have left few stone unturned in promoting Kannada chauvinism and Hindi hatred. Kannada pride led to the renaming of Bijapur as Vijayapura, Gulbarga as Kalaburagi, and Belgaum as Belagavi in 2014. More recently, the use of Hindi in the Bangalore Metro signboards was opposed, with the Chief Minister himself making a statement to this effect. Siddaramaiah turned to the Muslim vote bank in 2015, when he decided to observe Tipu Jayanti, the birth anniversary of the 18th century ruler of Mysore, Tipu Sultan. The Sangh Parivar condemned the decision and cried foul, but the government went ahead with its plans, which resulted in protests and violence. The present attempt to win over the Lingayats is laden with even greater dangers, as it involves the mobilisation and radicalisation of a sixth of the State’s population in the name of a demand, which virtually every community or caste in India can make. In promoting the Lingayat agitation, the Congress Party is not throwing up a challenge to the BJP or maiming the latter’s loathsome Hindutva politics, as a section of the ‘progressive’ vernacular intelligentsia would have us believe. Rather, it is only stirring up a hornet’s nest by participating in a virulent politics of religious fundamentalism just like the BJP.